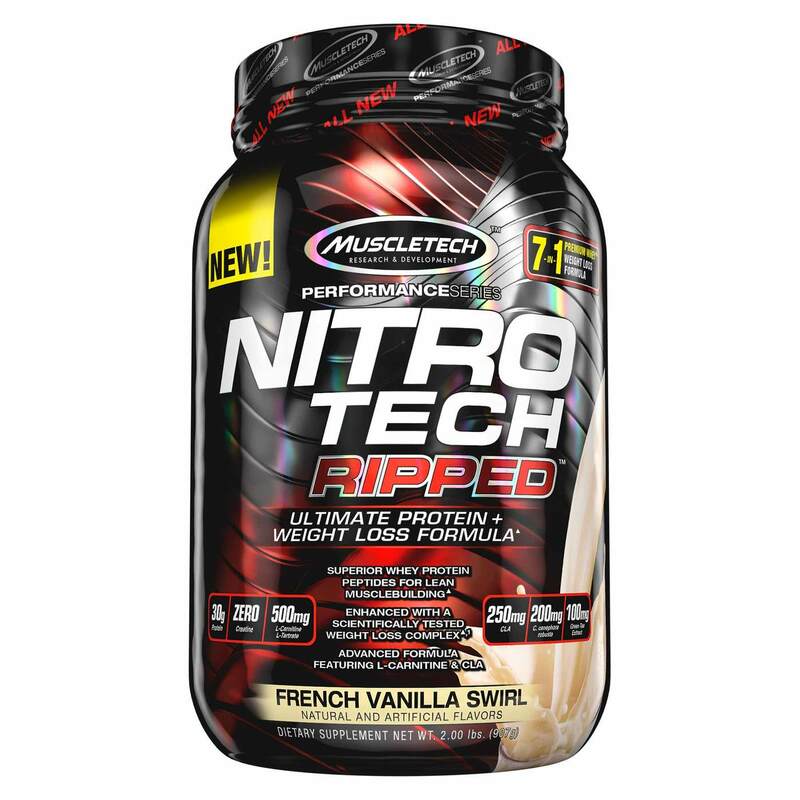 Muscletech Nitrotech Ripped provides a blend of ingredients with up to 30 grams of protein per serving. Warnings: Contains milk and soy ingredients. Processed in a facility that processes wheat, egg, tree nut, peanut, fish and shellfish ingredients.Do not use if packaging has been tampered with. Store in a cool, dry place. Not intended for use by persons under 18. Do not use if pregnant or nursing. Consult a medical doctor before starting any diet or exercise program or if you have a medical condition. Keep out of reach of children. Recommended Use: Mix 1 serving (1 rounded scoop) with 8 oz. of cold water or milk twice daily. Consume 30 to 60 minutes before your 2 largest meals daily. For best results, use in conjunction with diet and exercise for 60 days. Read the entire label before use and follow the directions provided.